The new study was authored by scientists and environmentalists from the Marine Megafauna Foundation y Fins Attached de los EEUU, Pelagios Kakunjá de México, y el Centro Rescate Especies Marinas Amenazadas de Costa Rica (CREMA). 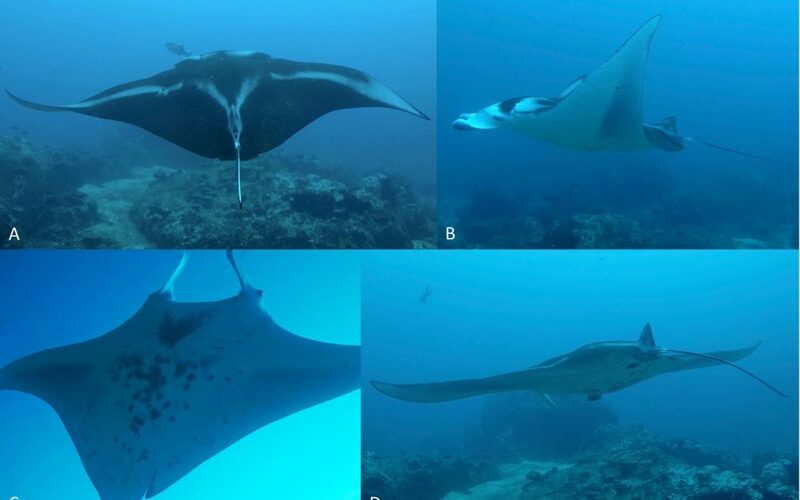 The 3.5 m reef manta reported in this study was seen in the waters off Cocos Island (Costa Rica), nearly 6000 km east from the nearest confirmed sighting location in the Marquesas Islands in French Polynesia and would represent the longest recorded straight-line distance traveled by any species of manta ray. It is also the first confirmed sighting of reef manta on either side of the American continent. The scientific expeditions to Cocos Island were supported by the Whitley Fund for Nature (UK), Sandler Foundation (USA), Conservation International-Costa Rica, and Friends of Cocos Island National Park Foundation (CR).